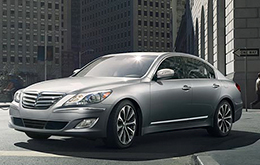 The Genesis Sedan continues to hold a leadership position in the luxury class, claiming the title of "Highest Ranked Midsize Premium Car in Initial Quality" from J.D. Power. With segment-best cabin space, class-leading V-6 horsepower and exclusive technologies like the BlueLink-enabled Hyundai Assurance Connected Care telematics system, both the Genesis Sedan and Coupe offer excellent value to luxury car shoppers. 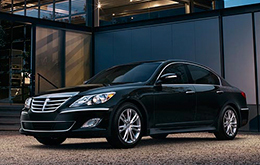 Read the rest of our 2014 Hyundai Genesis review for more information. For those who don't want to sacrifice any part of the commuting experience, Genesis offers a well-rounded mix of looks, substance and performance. Outside it flaunts elegant lines, inside it's comfortable and spacious, and under the hood it's powerful and refined. The sedan is offered in 3.8 and 5.0 R-Spec trim levels, while the coupe comes in six performance-focused trims, including the 2.0T, 2.0T R-Spec, 2.0T Premium, 3.8 R-Spec, 3.8 Grand Touring and 3.8 Track. Numbers denote each trim's corresponding engine and you won't want to miss the opportunity to test drive them all, so visit our dealership at 1301 South I-35 East and Belt Line Road, where the 2014 Hyundai Genesis is on sale in Carrollton, TX! Engines include a turbocharged four-cylinder, 333-hp V-6 on sedans, 348-hp V-6 on coupes and Hyundai's most powerful V-8 ever - a 5.0-liter Tau that produces 429 horsepower and 376 lb.-ft. of torque. Standard amenities are also plentiful and include items like Bluetooth, a trip computer, iPod connectivity, full power accessories and more. Other premium amenities, such as rear parking sensors, heated rear seats and BlueLink telematics, are standard on upper trims. For more information, please see the remainder of our 2014 Hyundai Genesis review, which features additional vehicle specs, car listings, photos and a video walk-around tour. We're sure that the Genesis is the best match for you. 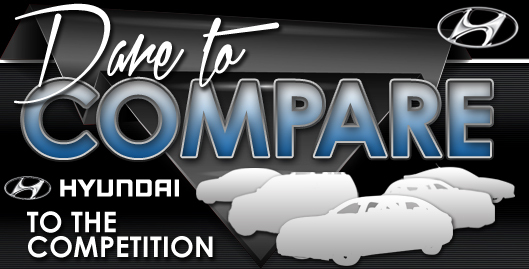 That's why we would like you to compare Hyundai's most current model side-by-side with the 2014 Audi A4, Lexus IS 350, BMW 5 Series, Scion FR-S, Infiniti G37 and the Mercedes Benz E550. The Genesis's unique features and cut-rate cost are just a few of the outstanding qualities that shoppers will love. It's a remarkable value, which you'll surely see when comparing its price to the competition. Find even more info about its specs; see our quick-facts list for the Genesis - bullets below this paragraph. If you're having difficulty deciding which Hyundai is right for you, please read the Genesis review above, along with reviews of other current 2014 models sold at Van Hyundai. Stop worrying about your next purchase; look to the foremost Genesis dealer in Dallas for well-researched reviews drafted by automotive enthusiasts. Filled with valuable data and specs, including cabin features and other info, each section gives you full access to everything Hyundai's lineup has to offer. 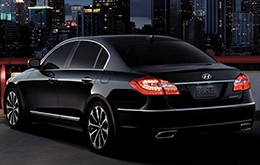 If the Genesis isn't a fit for you, please review and compare Hyundais other award-winning vehicles now.